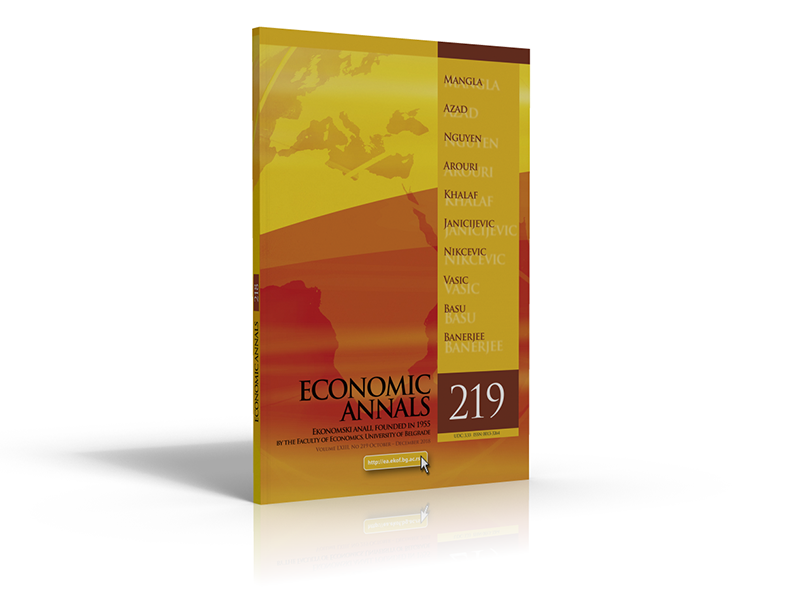 Economic Annals is an academic journal that has been published on a quarterly basis since 1955, initially under its Serbian name of Ekonomski anali (EconLit). Since 2006 it has been published exclusively in English. It is published by the Faculty of Economics, University of Belgrade, Serbia. The journal publishes research in all areas of economics. The Editorial Board welcomes contributions that explore economic issues in a comparative perspective with a focus on transition and emerging economies in Europe and around the world. The journal encourages the submission of original unpublished works, not under consideration by other journals or publications. All submitted papers undergo a double-blind refereeing process. Authors are expected to follow standard publication procedures [Instructions to Authors], to recognise the values of the international academic community and to respect the journal’s Policy. The journal is listed in SCOPUS (h=8) and ranked in the Elsevier Scopus® database by SCImago Journal & Country Rank (currently Q3) and in RePEc (h=10, ten-year impact factor = 0.327), Ideas, EconLit and Harzing’s “Publish or Perish” (h=17 for the period 2009-2017). The current issue is available on the website, as well as the earlier issues [Archive]. The Editorial Board of Economic Annals reports with great regret that our distinguished Professor and Editor-in-Chief, Božidar Cerović, passed away at age 71. A commemorative session was held in the Professor’s Hall of the Faculty of Economics on September 19, 2018.